No one really needs over 50 different fall dresses in their closet. But hey, we like options. And when it comes to those who prefer a throw-on-and-go piece with a flouncier hemline over, say, tailored trousers, you have a lot to choose from this season. Below is merely a generous edit. 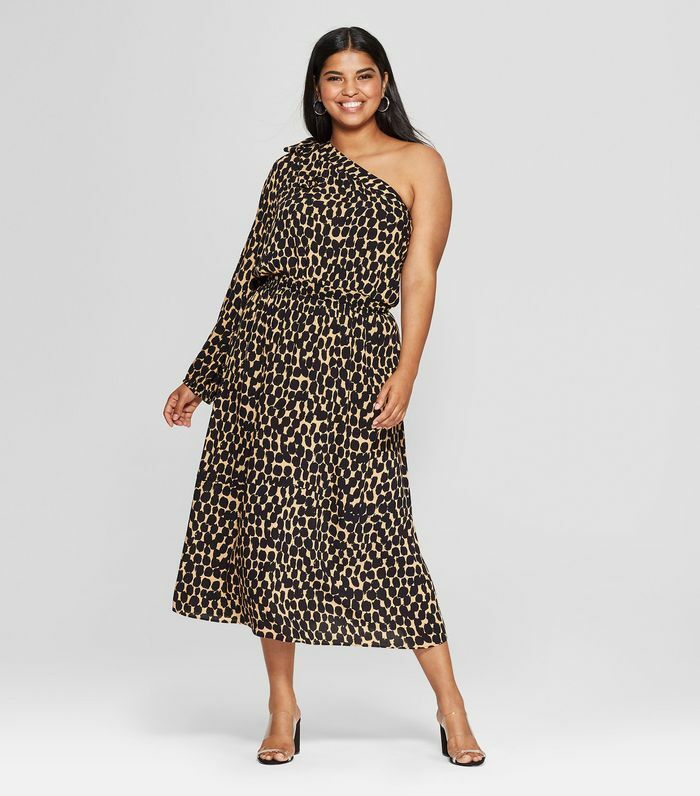 Whether you lean toward a minimal knit piece, a bold leopard print, or you're simply looking for your next great Saturday-night frock, the 10 trends below offer every style that will be ubiquitous this fall. But the best part? With every option under $300—most way under—you won't be forced to choose which one to add to your updated autumn wardrobe. Shop until your heart's content below. It's a bit wilder than your average seasonal print, and that's precisely why we love it. This summer dress trend is saying strong through the chillier weather. Ruching, shirring, gathering. Whatever you want to call it, this cinched look is all over our favorite dresses this season. Honestly, what is fall without it? Available in sizes S/M to M/L. Blame it on the resurgence of '80s fashion, but ruffles are found in spades among fall's dress offerings. And most notedly, asymmetrically. It's so much cooler to clash than match. Claim a bit more space with a dress silhouette that has a romantic, puffy upper arm. This season's party dresses are generous on the shine but not so much on the length. Available in sizes 10 to 12. Go for a cozy soft texture in a slink, slim-fit dress. Available in XS to 4X. Up next, meet the BlacKkKlansman actress who's breaking more than one stereotype.